My Name is Damian Goliath. I grew up in Kimberley. I am the eldest of four boys who were raised in a single parent home. Life was pretty tough. From a young age I had to learn to fight for what I wanted. I attended good schools due to scholarships I earned for cricket and hockey. I also ended up losing those scholarships as I was a rebellious mischievous boy to say the least. I struggled with authority and discipline so after Matric my mom sent me to live with my uncle in Johannesburg to try to whip me into shape. I started out as an intern for an IT company, I was then made permanent out of 15 interns for my drive, hunger to learn and proactive nature! I was quickly moved up the ranks and sort after by other IT companies, at 26 years I was managing my own department. While working I dabbled in a few things, came up with 100’s of ideas that ultimately only ever put me in debt (lol) but I continued to keep trying. One evening, one ordinary evening, I was paging through my latest edition of GQ Magazine, when my eyes caught a small write up on wooden sunglasses that were trending in the USA. I thought it was a brilliant idea and I knew that I had to share it with the South African market, not only that, but introduce a whole wooden accessories phenomenon. At that time (3 years ago) no one had done it in South Africa. Unfortunately, someone did catch onto the idea before I did, so I became a reseller for various wooden accessories until I had enough resources to launch and manufacturer my own brand. We launched WoodiZ in 2013. The company specialises in manufacturing wooden sunglasses and bowties. What is great about the bowties is that we are the first in South Africa and probably Africa to create and manufacture them. We are also working on our line of caps, watches and bags. Although we weren’t the first to bring wooden accessories into the South African market, we are constantly finding ways to reinvent the trend – looking for opportunities to be original, and be able to stand out in the market. Finance has been a big challenge. I left a secure career to start Woodiz. My wife and I gave up financial security to build this brand. It’s not easy having a wife and two kids, you never know how things are going to turn out. It is very scary and you are taking risks to make a dream that you believe in, into a reality. We have however, learnt to constantly look beyond our circumstances and focus on our future. This strategy – along with trusting in God, the brand, and ourselves – has taken us from entering the market as resellers of other people’s brands, to owning a sustainable business whose profits now allow the company to operate efficiently. It is hard work. The profits do not just start rolling in no matter how great the business idea is, as it takes time. As entrepreneurs in the accessories industry we are competing for people’s wallets against fundamental lifestyle purchases: food, clothing and entertainment. To continue growing WoodiZ has had to create and maintain strong solid relationships with its customers and interested parties. Loyalty has to be created. Loyalty has to be sustained. This is a key principle that allows any brand to continue developing. As entrepreneurs we quickly learn that we only get to do about 15% what we love about our businesses. The rest is admin and marketing. Yet, this passion has to sustain you throughout the varying curves of the road to success. You have to be passionate all the time: Dream It! Live it! Sleep It! WoodiZ is a natural woodcraft brand created in Johannesburg, South Africa. 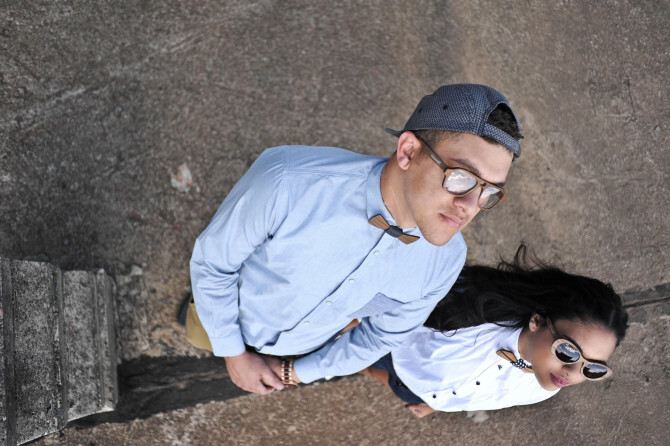 The enterprise – inspired by the transformation of the youth lifestyle and pop culture – was launched in 2013 by married couple Damian and Angela Goliath.